Shipping a truck across the country or overseas can be laced with confusions and challenges. Be it evolving shipping methods or fluctuating truck shipping rates, there are many possibilities of overlooking many basics things. 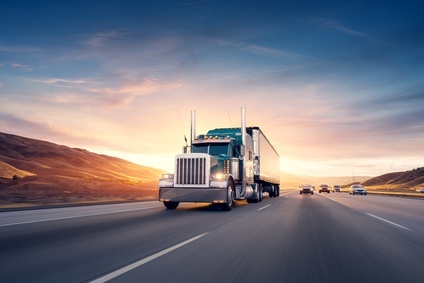 In addition to hiring a reputable truck shipping company, you need to know about the possible pitfalls and the prerequisites for a seamless transition. That is the reason we have put together this blog post that covers some expert tips to follow when shipping your truck. Take a look. Truck shipping companies recommend removing all extra items from the truck to avoid the possibility of them being lost during the transit. Moreover, if a truck is shipped across the country, it passes through weigh stations and having extra weight adds to the truck shipping rates charged by the company. Alarm can trigger anytime during transportation. Such an incident may not only interrupt the transition, but it may also damage the battery of your truck. It is, therefore, important to disable the alarm before handing it over to a truck shipping company. It will not only helps you to transport it conveniently but also protect the battery and electronic components. Although reputable truck shipping companies such as EasyHaul provide insurance cover for any unlikely events that may lead to a damage; in case of a mishap, it would be your responsibility to provide certain proofs depicting that the vehicle was loaded without the damage. It is therefore advisable to take as many photos of your truck as possible, and document all pre-existing damages and the overall condition of your truck. The earlier you finalize a truck shipping company and procedure, the more seamless will be your truck shipping experience. When you schedule a shipping contract in advance, the shipping company gets more time to ensure that the shortest and most cost-effective route is selected to keep the costs down. It will also help you estimate the truck shipping rates in advance and avoid last-minute rush and hidden costs. Whether you want to ship your truck overseas or across the country, follow the expert tips mentioned in this blog to ensure a hassle-free transition. If you are looking for a reliable truck shipping company, look no further than Easy Haul. Placed among the most trusted vehicle transportation companies in the U.S., EasyHaul offers door-to-door domestic and international truck shipping services with competitive truck shipping rates. For more information on truck transport services in the US, simply call +1 (360) 597 9320. Shipping Your Vehicle Overseas? Know These Auto Transport Terms First!